Is the kalacakra tradition mostly based on spiritual warfare? Can anyone explain it to me? It is modernity that has separated the spiritual from the material. Keep that in mind as you read the responses that are sure to follow. Not at all, it is a system of practice. So what does this mean? Fighting babaraeians ? I can fight for dharma ? I can fight for dharma ? @florin, I’m actually serious about this as I’m very confused with the statement. Could you please help me out with your explanations? Why are you confused ? Why do you think that this board can give you answers ? The standard or cliche answer would be that before you fight for truth you have to conquer your own ignorant armies. But if you want to stop going round and round in circles and talk endlessly about silly details with uninformed people, you go and ask a wise man. That is a wise man. I am not suggesting any such thing. I am suggesting that this question of yours is better be asked from a wise man. Try Alexander Berzin, maybe in his archives there will be sth, or email a teacher, that could help. Or read a commentary from a master. Sometimes boddhisatvas are called warriors. Maybe in Chogyam Trungpa's book about Shambhala you could find some info to help you. Looking through the berzin archives is a very good suggestion. Remember that Tibet was a theocracy and in the past almost all kings and great leaders viewed themselves as defenders of the faith, the society's connection to heavens, etc. In those contexts, which I would think are similar to the contexts in which the kalachakra came from, I think it would be incorrect to view the text as addressing purely (or isolated) spiritual needs. There are other religious texts which originate from around the same time and place (same cultural view) as the kalachakra. There are texts which discuss spiritual development without using the imagery found in the kalachakra. So it is there for a reason. There is a journal article I think in JIABS, which says thank the people who developed the kalachakra were very well familiar with other religions (they were dealing with it themselves). I very highly doubt that the texts in question were made to be interpreted as a mere psychodrama. The real meaning of the Shambhala war is purely a metaphor, as anyone who studies the system in any detail understands. It is not meant to taken literally at all. 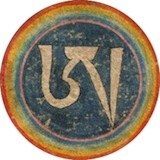 There are outer teachings of the Kalacakra. There are inner teachings of the Kalacakra. There are secret teachings of the Kalacakra. Finally, there are the inner most secret teachings of the Kalacakra. I seriously doubt anyone on this site has the secret or the inner most secret teachings of the Kalacakra. I don't and all I can do is guess about the Kalacakra War and anyone else who claims they know is either lying or breaking their tantric vows. Why do you think there are some many seperate initiations in the higher levels Kalachakra tantra. But, if someone does have these secret teachings I don't mind if you spill your guts and tell all of us. It is very clearly spelled out in Mipham's very long commentary on the root tantra, and other commentaries. My root guru held the Kalacakra Tantra and practice in very high regard, and he was the most peaceful man I've known. The discussions about Shambhala and all the battle imagery, I was told, were definitely symbolic and not literal, while the contents of the "alternative Kalacakra" and esp. the instructions on completion stage practice are, ironically, more literal and explicit than you will find in most tantras. Mipham would spell out to the general public the inner most secrets tantric teaching of the Kalachakra? There is a phrase you may of hear of called "The Ear Whispered" lineage. But some like to think that they are the holder of all sutra and tantric wisdoms. They show it in their posts. I am not no of those people and I like to think I hold my tantric vows of secrecy. Does your guru or any real guru sell the "Inner Most Tantric Secrets" to the public in a book or public retreat? Not if they are for real! Real Lamas will tell their advanced students that they lied to them for the last five years about the true teachings of your "Tantric Practice". Now that you have passed all their tests they will now finally show you the inner most secrets of that "Tantric Pracitce. Thank you Norwegian for you detailed, point by point review of my post. I will spent some time reviewing all of your many insights and hope it gives me a better view of your revelations to me.